A young dreamer, Andrew Goedicke ran away to join the circus at age 7. It took him almost ten years to catch up to the train, but he made it just the same. Having extensive training in artistic gymnastics, springboard diving, modern dance and classical ballet, he took to circus quickly. Andrew trained full time in the Professional Training Program at the New England Center for Circus Arts (NECCA) under the guidance of Serenity Smith Forchion, Aimee Hancock, and Sellam Ouahabi, specializing in aerial straps and duo hand balancing. He has also taken various aerial teacher training and rigging workshops, and has furthered his training in Montreal with Cirque du Soleil coaches Chloe Farah and Serguei Volodine. 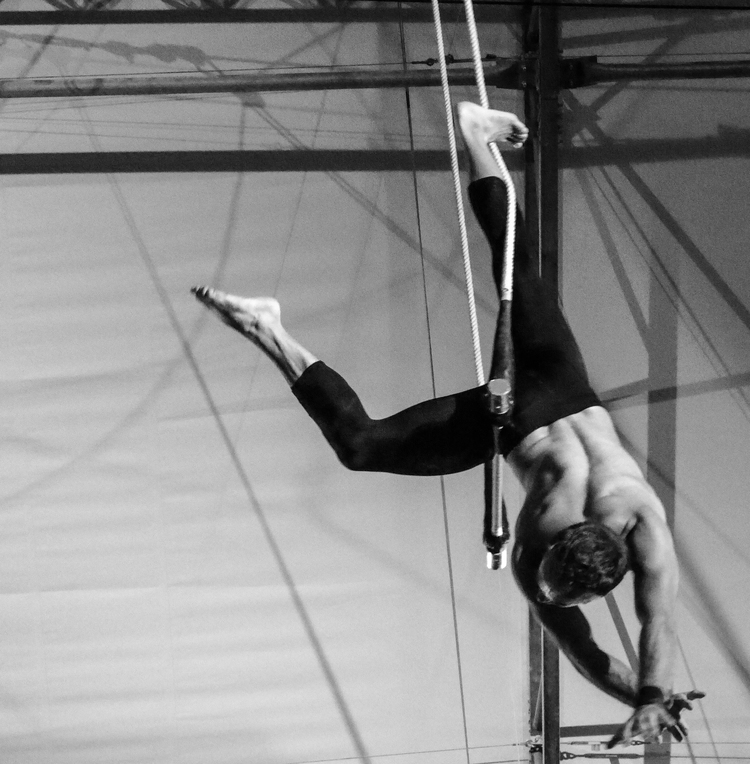 In addition to his circus training, Andrew earned his degree in education from Taylor University. Andrew has toured across the USA with the Cincinnati Circus Company, Clowns Without Borders, Louisville Aerial Revolution, The Va Va Vixens, and Jason Dhir Productions. He is a tumbler, dancer, aerialist, handbalancer, partner acrobat, fire performer, and juggler. With over a decade of experience in circus, Andrew is recognized for his wide breadth of skills, highly-creative energy, and multidisciplinary background. Circus quite perfectly embodies the key values that Andrew holds dear. Working as a coach for Circus Smirkus, Trapeze School New York, The Cincinnati Circus Company, Turners Circus and My Nose Turns Red, Andrew has seen people transformed by circus. He has learned the incredibly moving and powerfully healing nature of circus and it has him inspired for a lifetime.